City property records show Terrance Freeman lives in Council District 6. He was just appointed to represent District 10. JACKSONVILLE, Fla. - A lawsuit filed in July after Gov. Rick Scott appointed Terrance Freeman to replace suspended Jacksonville City Councilman Reggie Brown has been dismissed. Reggie Brown and fellow council member Katrina Brown were suspended from office in June after they were indicted on federal fraud charges, alleging they misused public funds. Former Duval County School Board member Brenda Priestly-Jackson filed the lawsuit, claiming Scott appointed Freeman to replace Reggie Brown before Freeman officially resided in the Northwest Jacksonville district that he was picked to represent. Within 24 hours, Freeman said had rented a residence within District 10 and lived in the district before he was sworn into office. On Wednesday, Circuit Judge Waddell Wallace III granted motions to dismiss filed by Freeman, Scott and the city of Jacksonville, citing law saying that residency at the time of taking office was satisfied. The judge found that the courts have no jurisdiction when it comes to the qualifications of those appointed to City Council seats. That is entirely up to the City Council. Freeman told News4Jax by phone on Wednesday night that he wants to put the lawsuit behind him and work toward bettering his district. "I'm going to be here for the next couple months and we can partner and work together because I’m going to work hard," he said. "I can do more with others and really get some things done for the district. I’m honored to serve. I’m grateful for the appointment." 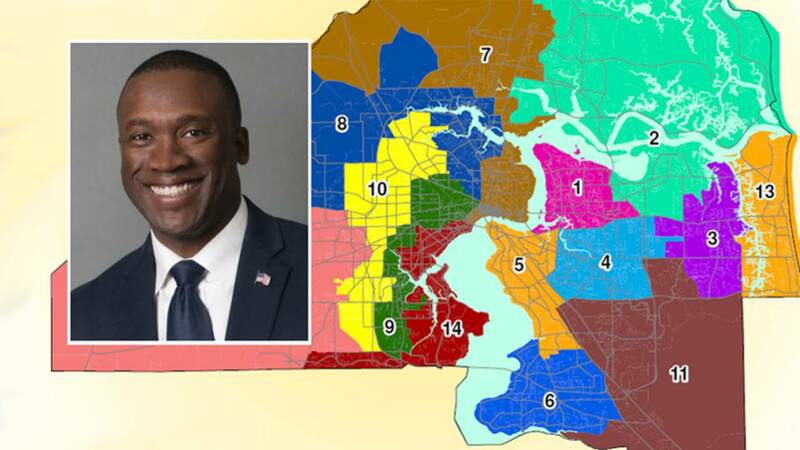 Priestly-Jackson, who lives in District 10, was one of more of about a dozen people who applied to replace Reggie Brown, but she was not selected. She claimed the application process was changed midstream to exclude a requirement of primary address. "When I applied for Reggie Brown's council seat, there was a drop-down where candidates were required to include their primary address, but that drop-down was changed a week to 10 days before the appointments were made," Priestly-Jackson said after filing the lawsuit. Priestly-Jackson said she does not want to be appointed to the District 10 council seat now, but will run for the office when the current term ends next year.